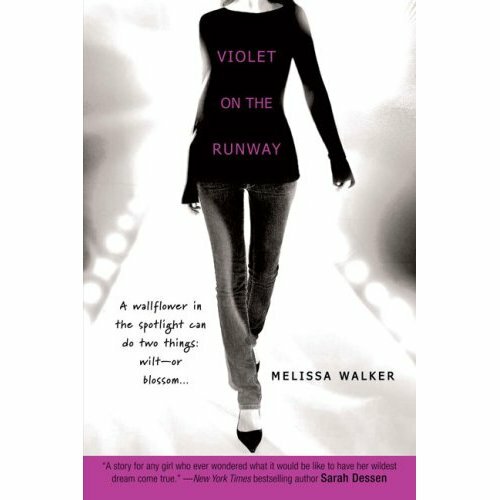 One of the books that was sent to me was this one, Violet on the Runway , which I suppose is technically YA, although it certainly has what we used to call Adult Content. All I know is that if I had come across this when I was thirteen, I would have read it three times, and even as an adult, it was truly entertaining. The people are whole and well-rounded and I liked Violet very much, as the ugly duckling who turns out to be a swan (and who might be happier as a duckling). It was so nice to read a fashion-y book that didn't go overboard with the brand names, didn't seem like an extended game of paper dolls, and which featured people you could like and understand. An excellent book for your favorite fashion-mad teen (and if you're careful and don't get chocolate on the pages, you can read it yourself first). Lastly, this is probably better suited for my other blog, but Burgess Unabridged is just an adorable book, and I'm so glad that Walker has brought it back in print. Gelett Burgess was, in fact, the guy who coined the word blurb, which makes me insanely happy, in a meta kind of way, that I was able to blurb this book. (Not many people get to blurb the blurber.) Burgess Unabridged is a collection of his other neologisms, none of which ever had the success of blurb, but which make for interesting reading, nonetheless. Like the word kipe, which he defines as "A woman's glance at another woman." Leaving aside the heteronormativity of that for the moment, doesn't that word describe every two-figure illustrated pattern envelope you've ever seen? Or his word gorgule, meaning "elaborate bad taste," something we always know when we see it — and now have a handy word for. Burgess Unabridged is illustrated, too, by Herb Roth, in a kind of Aubrey Beardsley-meets-Gahan-Wilson style. Books! This is off topic from fashion or dictionaries, but I was very excited this morning when I saw an advertisement for this book:http://www.powells.com/biblio/1-9780375829963-0Having been in children’s publishing and living in Wisconsin, I was thrilled to pieces that someone wrote a book about one of the biggest children’s publishers to have been in my state. Of course, there is no mention in the promotional copy about whether or not the book talks about Racine and corporate NY headquarters having shut down that location (just like what happened with my own former company–New York publishers think they’re so great, they can’t imagine anyone wanting to do editorial things in the Midwest). Ah, another tangent.But thank you for mentioning the books! I shall now have to check them out, too. Love it when you do books! I like The Booster by Jennifer Solow–it, too, has lots of name dropping fashionista-style, but good rounded characters and a fun plot. Y’know, for your spare(er) time. Thanks for the reviews — I love YA books. I just finished Extras by Scott Westerfeld and I recommend it highly.On an unrelated note, I was at http://www.classicalvalues.com and check out this little video under the heading “Every Thing Has Changed – I No Longer Recognize The Place.” It’s about information storage / retrevial / organization and the Internet. I thought of you when I saw it! Have you seen it yet? Very interesting little video. Deirdre, that’s a great video … and I love Scott Westerfeld’s books. Bought Extras the week it came out! Have you seen the Free Rice game? It gives you vocab quizzes and donates rice for every correct answer. I’m not sure how much rice– ten grains a word doesn’t convert to anything I can figure out– but I don’t know all the words at the higher levels. I’m so glad that the book finally made it to you! This is a stretch, but my friend who works at Simon and Shuster called me to ask if I as a “sewing person” knew any “sewing-type people who wrote blogs,” who would appreciate “The Collection.” I recommended you, and voila! (Although I sort of thought it was a little on the ‘meh’ side as well, I’m glad it arrived intact and allowed you some guilty pleasure chocolate time).